It’s natural to experience some nervous energy visiting a gentlemen's club for the first time. You don’t know what to expect, and your frame of reference revolves around what you’ve seen in pop culture. You might be a bit nervous about the prospect of going to one, or even downright just dreading it, especially if you’re being dragged along by your friends. That’s completely understandable! After all, the media has unfortunately painted gentlemen's clubs with broad and extreme strokes to sensationalize their story, but that doesn’t accurately depict reality. The truth of the matter is that the gentlemen's clubs you see on TV, in movies, and in video games are exaggerated to the extreme. We’re going to provide a realistic explanation of what your first visit to a gentlemen's club will be like and set some expectations so you can be sure to have a good time. Before anything else, though, let’s just go over some quick but important dos and don’ts when you visit a gentlemen's club for the very first time. Have fun! You’re here for a good time, so be sure to check your attitude at the door and unwind! Your frame of mind and personal energy will determine how much fun you have. Dress for Success. The classy and lavish atmosphere of gentlemen’s clubs requires your best outfit. Looking good ensures you’ll get way more attention without having to impress the girls with money first! They’ll approach you and be willing to hang out longer. If you’re not dressed properly, you’ll have to spend more to get the dancers to notice you! Bring money. While you don’t necessarily have to take out half your life savings in order to enjoy yourself at Crazy Horse 3—or any other gentlemen's club for that matter—it’s still a good idea to bring enough cash with you, and it is worth it. You pay the gentlemen’s clubs to take your party to the next level with bottle service, VIP tables, party rooms, private stages and more to celebrate any occasion. Purchasing bottle service may also yield extra perks—guests buying bottles at Crazy Horse 3, for example, get to meet the many celebrities hosting parties at the award-winning gentlemen’s club. Remember that you’re going there not just to eat and drink, but also to enjoy some quality female company—and female company of that caliber comes at a price. Besides that, it’s just more convenient to pull out your wallet and hand over the exact amount than handing over your credit card or withdrawing from the ATM. Respect the entertainers and the staff. Even though the entertainers are lightly dressed and show off their bodies, and the club staff attends to all of your needs, they’re still working professionals and deserve respect. Treat everyone with respect, tip when necessary, and don’t be unreasonable with your requests. Also, don’t argue loudly with the staff or security, and don’t threaten other guests. Otherwise, you’ll be seen as a nuisance, and that will get you quickly ejected from the premises. Look and appreciate. It’s perfectly all right to stare at the entertainers—they know what they’re wearing and what exactly they’re doing. In fact, they’ll probably find it a bit off-putting, uncomfortable, or even rude if you deliberately ignore or avoid them. After all, it is their job to get your attention and make you feel welcome. So stare at your heart’s content! Tip appropriately. Yes, we know, we already said it before, but it really bears repeating. If you’re not the sort to tip too generously at restaurants or bars, make an exception here, especially when it involves the entertainers. They are working professionals after all, and a measly tip could mark you as a customer to be avoided. You don’t have to go overboard, however—tips of up to US$20 should suffice. Plan Ahead. Gentlemen’s clubs offer house transportation to and from the venue for a better VIP experience compared to showing up in a cab or rideshare. You’ll often get a better deal on the cover and drinks as well. Crazy Horse 3 offers an app that allows guests to personalize their gentlemen’s club experience ahead of time with features including complimentary limo service, table reservations, bottle service packages and dancer profiles. Grab the entertainers. Seriously, don’t. Look, but don’t touch. You may be able to get away with a brief squeeze of the shoulder or a hand on their hip or waist, but do more than that, and you’re looking to get promptly escorted out. If you’re not sure of what to do, always ask the entertainer first about what’s acceptable and what’s not. If the entertainers want you to touch them, they’ll help you along and make sure it’s comfortable and appropriate. They’re the professionals, so just follow their lead. Pro tip: the entertainers are much more receptive to contact when you’re buying private dances! Bring Weapons or Drugs. You will be wanded with a metal detector and undergo a brief pat down at the door to make sure everyone is safe. If you’re found to be in possession of other contraband you’ll be escorted off the property. Start a fight. Another huge no-no. No roughhousing or any aggressive moves, and certainly no trash-talking either. Any sign of conflict or physical violence will be seen as immediate grounds for ejection from the premises. If you have any beef, settle it off property, or the bouncers will toss you outside AND call the cops on you, too. Take pictures or video without asking first. Some gentlemen's clubs allow photos or selfies to be taken with their entertainers, but as a general rule, the act of photography or video recording is prohibited. Keep your phone in your pocket at all times, and focus on the now. You can brag about your night on social media all you want later on. Solicit the Entertainers or Staff. They are there to provide a fantasy for your entertainment and make great money doing it. Don’t make it weird with unwanted advances and suggestive comments. So what are most gentlemen's clubs really like, then? This may surprise you, but they actually have a lot more in common with any fancy bar or restaurant that you’ve already been to, especially if you go to the really classy ones. For example, gentlemen's clubs do serve food and drinks, just like restaurants and bars do, although some gentlemen's clubs don’t serve alcohol. Most of them provide security on the premises as well, just like any entertainment establishment interested in keeping their customers and staff safe at all times. But most importantly, we have to remember that, at the end of the day, gentlemen's clubs want to earn money. The only way they’re going to be able to do that is to make sure that their customers are having a great time. Such a great time, in fact, that they’re perfectly willing to spend a lot during their visit, and come back as often as possible. The only real difference between a gentlemen's club and a pub, club, or restaurant is, of course, the girls. You’ll see them performing up on stage to a really good beat or displaying their dancing prowess on a vertical pole. You’ll also see them walking around the place, talking to customers or even engaging in a lap dance or two. Best of all, most of them are typically barely dressed, to the point that not much is left to the imagination. That’s basically it! So with all this in mind, you should be able to figure out that going to a gentlemen's club is going to be just as safe and as comfortable as going to your favorite bar or restaurant, and that you have absolutely nothing to worry about. In fact, you may even find that a gentlemen's club is much more entertaining and swanky than your favorite fine dining restaurant! Of course, it all depends on where you go, but if you want your first gentlemen's club experience to be special and wonderful, then the only ones you should even be considering going to are those in Sin City itself: Las Vegas. Why Las Vegas, you ask? Everything is just bigger and more glamorous in Vegas, especially when it comes to gentlemen’s clubs, featuring drop-dead gorgeous girls, lavish architecture and décor, and an upscale atmosphere for an unparalleled experience. Here are some specific and pertinent reasons just why. This is a no-brainer. Yes, you can find a gentlemen's club practically anywhere in the United States—or at least, mostly anywhere. However, only a handful offer the ultimate experience, and a few of them can be found in the most visually exciting and massively entertaining city in the entire world: Las Vegas. It’s the adult nightlife version of Disneyland, a magical place that lets you experience your wildest dreams and fantasies while bathing you in the glow of its bright lights. Even if you’re done exploring the city’s gentlemen's club scene, there’s just so many other things to do in Las Vegas that you’ll never get bored. Fine dining? Take your pick of any of the many five-star restaurants on the Strip, and satisfy your taste buds. Up for some casual or high-stakes gambling? The largest and glitziest casinos are waiting to take you up on your challenge. What about some quality bar-hopping? Las Vegas has them, too, and in spades. You can even enjoy golf in Vegas if you’re really so inclined, with more than 20 premium and highly rated golf courses right in the city itself! There’s no beating Las Vegas when it comes to having fun, whatever you’re into. There just isn’t. In Las Vegas, everything’s bigger, brighter, and more glamorous—and their gentlemen's clubs are no exception. Here, the gentlemen's clubs are not the kind you would normally find in a smaller town. Instead, you’ll find gentlemen’s clubs that can easily fit as the backdrop of a high-end photo shoot, or even as the luxurious setting of a big-budget spy movie production. The food will be amazing, the alcohol will be high quality, and the amenities will be so stylish and classy that you’ll really find it hard to believe that you’re actually in a gentlemen's club. Besides that, it’s only in Las Vegas where you’ll find that the bigger gentlemen's clubs are more than happy to drive you to their premises on a limo—and for free, even! It’s not just the lights, the sounds, the facilities, or even the food that puts Las Vegas gentlemen’s clubs above all other gentlemen's clubs out there. It’s also the entertainers—with Sin City’s ladies being some of the most gorgeous-looking in the country. Remember, Las Vegas doesn’t have the global reputation for being the Entertainment Capital of the World for nothing. Here, competition is fierce, since the city attracts beautiful girls from all over the country and the world. Only the cream of the crop makes it to the best clubs in the city. You will only find the most eye-catching, head-turning and skillful girls in Las Vegas’ gentlemen's clubs in their quest to entertain you in the best way possible. But don’t take our word for it. You can check out for yourself what the very best of the Las Vegas gentlemen's club scene can offer by visiting the Crazy Horse 3 gentlemen’s club. In the next section, we’ll tell you why our club is the perfect place for your first gentlemen's club experience. While any other gentlemen's club may allow their visitors to dress down and run wild in their premises, you’ll quickly find that those antics and more will never fly in Crazy Horse 3. In fact, not only are our guests required to wear only upscale or fashionable attire—no wife beaters, saggy pants or sports jerseys here—but any sign of misbehavior or fighting will be grounds for a quick ejection from the premises by our security staff. Why so strict, you ask? Simply because Crazy Horse 3 is dedicated to giving its customers a safe and prestigious atmosphere to enjoy. By having a dress code as well as strict rules for behavior, our gentlemen’s club lets our customers relax and properly partake in our services without having to worry about fights breaking out on the floor or riffraff coming to bother them. As we mentioned earlier, Las Vegas gentlemen's clubs have some of the best amenities you’ll ever see in a service establishment, and Crazy Horse 3 sets the standard. Not only do we have a wide and expansive main room—one with a fifty-foot bar and equipped with plasma HDTV widescreens—we also have refined interiors, VIP rooms with swanky private suites, and world-class DJs setting the tone with party hits. 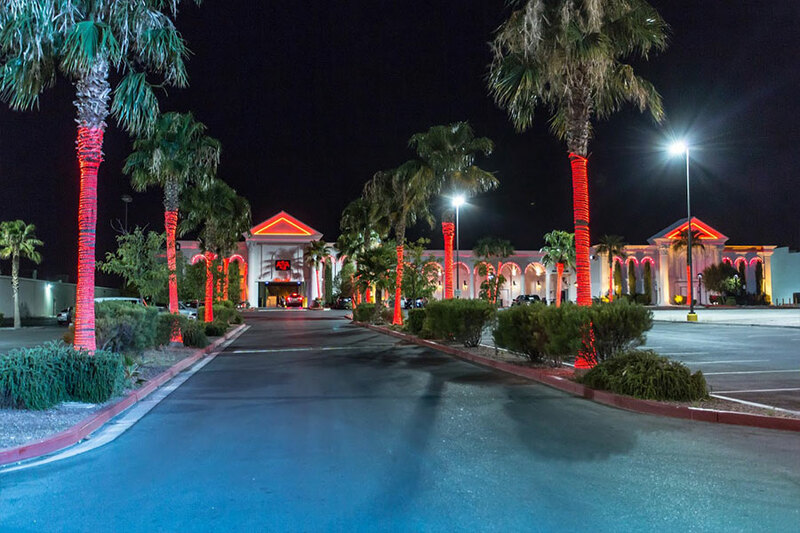 No matter where you go—even in Las Vegas—you’ll be hard pressed to find any other gentlemen's club that has even half of what Crazy Horse 3 offers! Let’s say that you’ve finished settling in in your upscale Las Vegas hotel and you’re looking to experience the city at its finest. 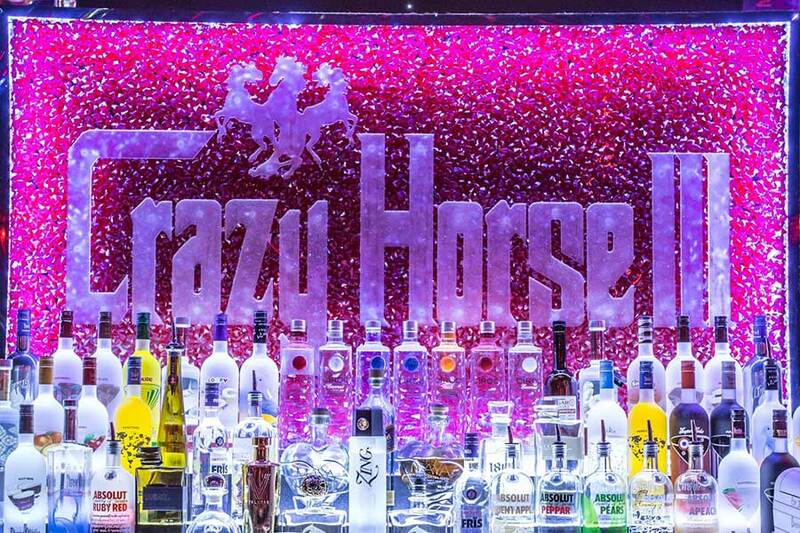 First stop: Crazy Horse 3! But there’s a problem: you didn’t have the foresight to rent a car, and you’re not exactly feeling up to arriving in a cab. You’re also not too keen on being seen simply walking the distance. There’s just no style to that. In this case, all it would take is a simple call in advance to Crazy Horse 3 and we’ll have you driven up to our club free of charge, no matter which hotel in Vegas you’re calling home for the trip. Best of all, we’re going to pick you up in luxury transportation! Not only that, but you’ll also be dropped off at the VIP entryway with your cover charge waived completely. The finest amenities in the world won’t quite matter if it turns out that Crazy Horse 3 doesn’t sport food and drinks of the same caliber. Good news: we totally do! Besides the scrumptious fare designed to be perfect as finger food—with jalapeño poppers, egg rolls, pot stickers, breaded mushrooms, sweet potato fries, and mozzarella sticks being some of the notable examples—Crazy Horse 3 also offers a wide variety of gourmet American bar favorites and pizza that can satisfy any palate. 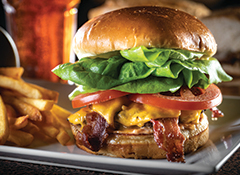 From clubhouse sandwiches, pizzas, burgers, and hot wings to freshly prepared salads and wraps, we’ve got it all. Customers can also drench their throats in sheer decadence by having exclusive access to our craft cocktails, with samples ranging from exotic beers to premium vodka cocktails. You can even enjoy a post-meal cigar if that’s your thing as Crazy Horse 3 offers a fine selection of high-end cigars for you to slowly savor. We’ve teased you enough about what makes Crazy Horse 3 the prime choice when it comes to having your very first gentlemen's club experience. Now we’re getting to the main course: the girls themselves. And when it comes to this particular deciding factor, Crazy Horse 3 can’t be beaten. Over 250 of the hottest and most gorgeous female entertainers in Las Vegas are completely exclusive to Crazy Horse 3—which means that you won’t find them working anywhere else. The moment you catch their attention and call them over to keep you company, they’ll make sure that you feel like the VIP you are, even if you tell them that it’s your first time in a gentlemen's club. In fact, they’ll make your stay a less stressful and nerve-wracking one if you do so, and they’ll make sure to ease you into the mood without pressuring you into anything you’re not up to yet. So if you or your friends are looking to find the best gentlemen's club experience that you won’t be able to find anywhere else, or you simply want to make your first time all the more special, then make the trip to Las Vegas and head on over to Crazy Horse 3. You won’t ever regret it! Don’t let your first impression of gentlemen's clubs get irrevocably ruined by going to a second-rate cabaret or gentlemen's club. Make the memories that you deserve by going straight to Las Vegas and enjoying what Crazy Horse 3 has to offer. Even if you’re not really into the whole gentlemen's club thing, isn’t it better to experience the best rather than the worst for your first time?